Another recipe using dried legumes, for those days when you are short on veggies and looking to use something from the pantry. 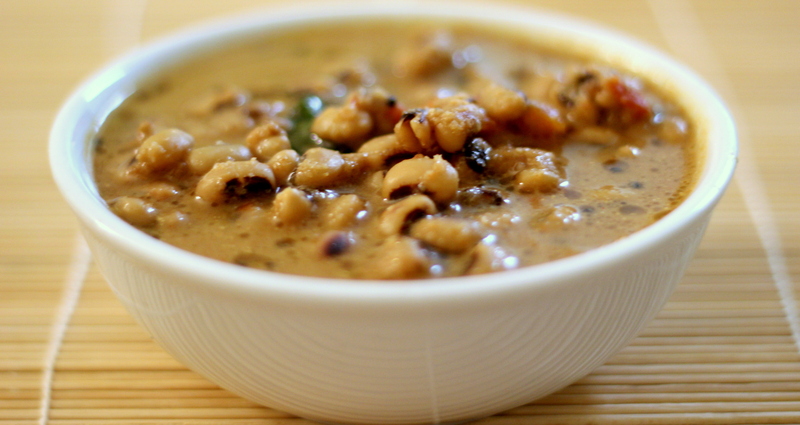 Like most other traditional Kerala recipes, this one is quite easy to make and is done as soon as your beans are! What I like about these beans is that they have a very firm and bite-worthy texture when cooked right and tastes so yum! I would definitely recommend trying to cook them in a pot/pan versus pressure cooking which might be the quicker option but can easily ruin the texture by making them too mushy. 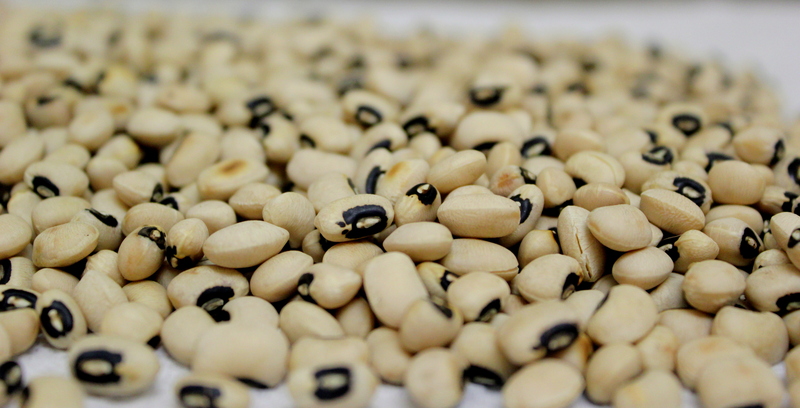 Add more variety to your meals and welcome the black-eyed peas to dinner this week! Dry roast the black-eyed peas (karamani) and soak for 3-4 hours. Boil the karamani with a pinch of turmeric powder and cut tomatoes and salt for about 20 minutes until they are cooked but still firm. Add enough water to fully submerge the karamani. Add chili powder, coriander powder to the boiled beans and bring to a simmer. Prepare some tamarind extract, about 1/2 cup, from the tamarind and add to the beans curry and bring to a simmer again. Make a thick paste with the coconut and onion and add this to the beans curry. Bring the mixture to a boil and cook on med-high for 3-5 minutes. Turn off the heat. Tempering: Heat some coconut oil in a small pan, add the mustard seeds and curry leaves. Allow the mustard to crackle and turn off the heat. 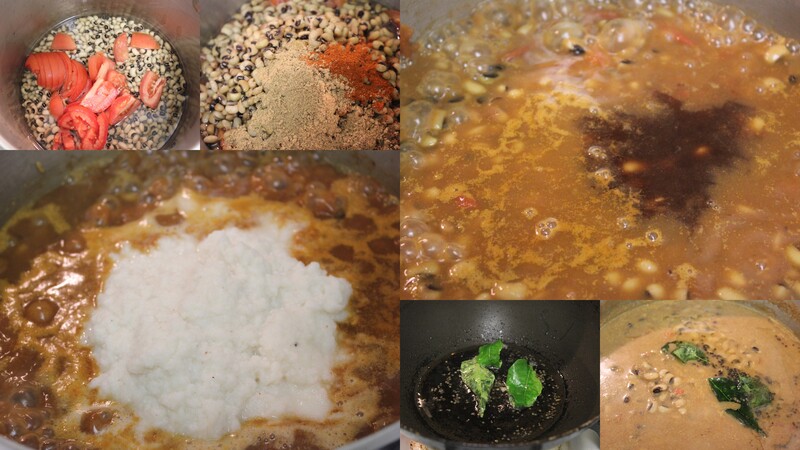 Pour the mixture on top of the karamani curry and combine before serving.